Spinning Gold Medal Award. It actually spins!!! 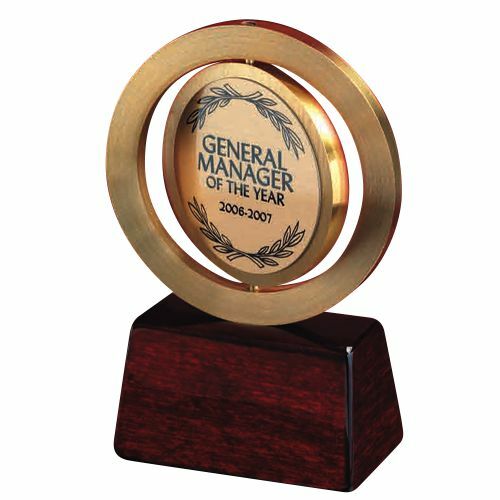 This NEW action packed Spinning design will make for a memorable award. A rosewood stained Piano Wood base with personalization plate is provided with this gold metal spinning figurine. Great team and a ton of options for recognition! Their design department has been able to handle every request I've asked about and they have come through in rush situations without a problem! Awesome service and great staff! They always deliver exceptional quality products.